February | 2015 | Killed in a Smiling Accident. 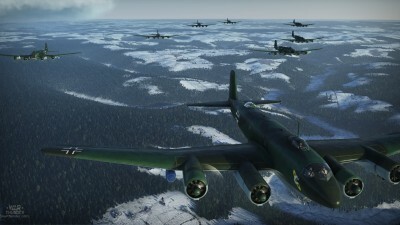 It’s patch time in everyone’s favourite online World War II combined arms tank-and-plan type game, War Thunder, and update 1.47 is all about the bigg ‘uns (fnarr, etc.) I’m sorry, I’ll read that again: update 1.47 is all about the big guns. Each day you log in you receive a crate containing tantalising and exotic rewards (or, on Day 1, in most cases a small boost to research or currency earnings for a few matches). With this being less than the previous 100% boost per country, obviously people are reacting very calmly to the new system and not launching into froth-spackled diatribes prophesying doom, because this is the internet and everyone is very calm and relaxed, so that’s nice. Similar to the switch from unlocking whole tiers of aircraft to individually researching them it does look like this will, overall, slow down research to some extent, but there are potentially advantages as well, particularly if you prefer to focus on a single country, and there are some interesting aspects, like team boosts that apply to everybody you fly with. 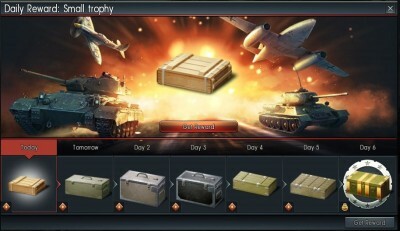 Certainly something to keep an eye on, to see what might be in that oh-so-shiny looking Day 6 crate if nothing else, though it does mean that War Thunder now has a Start to Crate time of zero. 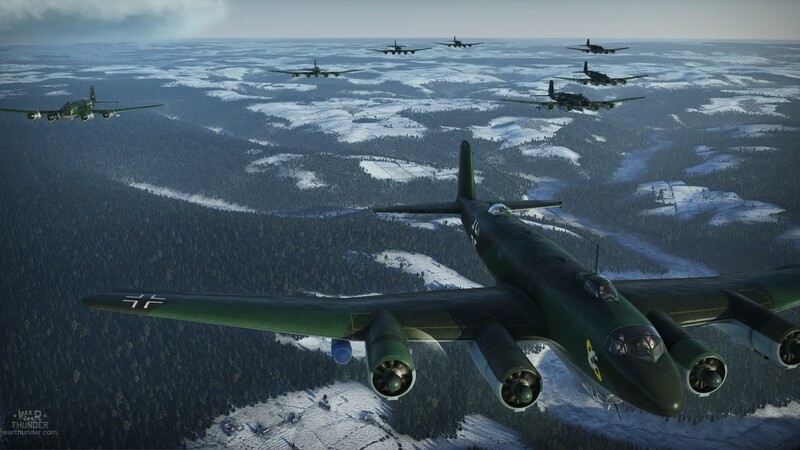 This entry was posted in war thunder on February 25, 2015 by Zoso. As the gaming industry lurches through the strange new landscape of crowdfunding, early access, paid betas and the like, progress isn’t always smooth, the recent kerfuffle over Peter Molyneux’s Godus being a particularly noteworthy case in point. Going through a bit of a gaming lull, with nothing immediately flinging itself from the ever-lengthening Steam library as a must play, I thought I’d take a bit of a look at a couple of projects I’d backed on Kickstarter that had come to fruition while I was distracted with other stuff. Sunless Sea from Failbetter Games was released a couple of weeks ago, and has had some glowing reviews; I’ve only set out on the briefest of voyages so far, but it looks very nice, combining the quirky setting of the Fallen London browser game with sort-of-Rogue-ish-with-a-bit-of-Elite-and-other-stuff sailing around. I did enjoy Fallen London for a while, but never found the underlying mechanics of the game as compelling as the setting and writing, so I’m looking forward to some more exploration of the Unterzee. With all the problems elsewhere, it’s nice to see a successful Kickstarter project meeting or even exceeding expectations. I also got around to installing Jagged Alliance: Flashback. I missed out on the original Jagged Alliance games, but being a big fan of UFO: Enemy Unknown and Silent Storm I thought I’d give Flashback a try. After backing projects I don’t tend to follow them particularly closely, but flipping back through previous Kickstarter updates while installing the game it seems the launch back in October may have been a touch rocky, with the disappointment of some fans reflected in numerous negative Steam reviews. Again I’ve only played a couple of missions so far, it seems solid enough without being exceptional, worthy enough of spending a bit more time with at least; from a brief glance at the comments in Steam a frequent complaint seemed to be that it didn’t feel like a Jagged Alliance game, so perhaps not having those expectations gives a slightly different perspective on things. I gather there’s also been an update or two since launch, which may have helped. Anyway, debates over the merits and ethics of pre-orders and founders offers and what-not will doubtless continue to rage as bitterly as ever; there are strong arguments for waiting for official release and reviews (and indeed giving a game a few months after that for the worst of the launch bugs to be patched out; Van Hemlock’s three month rule, as mentioned on some of the earliest posts here from 2008, still holds as true as ever). There are also compelling arguments in favour of early access, when done well (just as with business models, nuclear physics, and so much else, they can be used for both good and evil). With all sorts of tempting booty in pre-launch/Kickstarter packs, from a discounted price to exclusive items, it’s essentially a gamble: for a pre-order/Kickstarter pledge of £x, will you get £x-worth of fun out of a game (itself rather a hard thing to measure, even using the Sherbet Dip-Dab scale)? If “yes”, and said amount of fun would have cost £y (where y>x) or not been possible at all without the pre-order, you win! If “no” (or “yes” where y<x), better luck next time. I don’t usually go in for betting, even random real-money lockboxes in other games, but if a game looks promising I don’t mind taking a punt and rolling the dice of pre-order, so come on Eternal Crusade, come up sixes! This entry was posted in zoso on February 20, 2015 by Zoso. Greetings People of the League! After the successful and fun inaugural event, we’re excited to announce that the next leg of our next All-human tournament will be held in Chipping Sodbury Leisure Centre on February 22, 2015. For this coming leg, we intend to experiment with some changes we plan to put in place with regards to who can join the five-a-side league. This is related to the open discussion about whether professional footballers, ex-professional footballers, semi-professional footballers, professional footballers but from a different sort of football, professional sportshumans from sports apart from football, people who don’t like cheese, left-handed people, people whose surname begins with a vowel, and killer cyborgs from the future be allowed to participate. We’ve given a lot of thought on this subject, and we’ve similarly consulted and talked with various parties including FIFA, the International Olympic Committee and the National Foundation for Killer Cyborgs from the Future. For any events we do, we always want to make sure we are able to have an inclusive environment where no one feels left out, and of course for everybody to enjoy. On this angle, we believed that allowing more to be eligible to join is obviously the answer and as many of our human teams have expressed – killer cyborgs from the future are their friends too. Except when they try and kill them. On the other hand, for any competitions, we seriously look at ensuring there’s a fair level playing field for all participants. And there are arguments and concerns from other participants who disputes that someone who doesn’t like cheese may probably have some unfair advantage at playing football. 1) Each team will be allowed to have a maximum of one (1) professional Association Football player for the entirety of the tournament day. Therefore, teams cannot do the following: Team_A’s first game will be 4 people who like cheese and 1 professional footballer, then on Team_A’s second game, they will have 2 members whose surname begins with a vowel, 1 killer cyborg from the future, 1 former presenter of The Antiques Roadshow and replace the professional footballer with a different professional footballer. 2) Each team will be allowed to have a maximum of two (7) professional American, Australian, Gaelic, Canadian, Central African Republician or Rugby Football players, as long as they promise to stop picking the ball up. 4) Although killer cyborgs from the future aren’t technically human, we’re allowing them to participate because they look human… sweat, bad breath, everything. Very hard to spot. And they threatened to kill us, what with it being their raison d’etre and everything. 6) Each team will be allowed to have a maximum of three, four (knock on the door) players who like salt and vinegar crisps and must have a minimum of two (ii) players who like cheese and onion crisps, because we’re getting multipacks again and Clem was furious when all the salt and vinegar had gone before he got to them. No team will be allowed any (>0) smoky bacon or roast chicken, otherwise we just get stuck with leftover prawn cocktail. 7) There is no rule 7. 8) Each team will be allowed to have a maximum of five (five) members of the band Five (5ive). 7) Oh, wait, I just remembered Rule 7! Each team will be allowed to have a maximum of four (4) Emeritus Professors of Greek Culture and/or Gresham Professors of Astronomy, so long as no more than one has also played football to a semi-professional level or higher, no more than three have been members of the Shadow Cabinet, and no more than two have appeared on Celebrity Tipping Point (members of the Shadow Cabinet may have played semi-professional football so long as they haven’t appeared on Celebrity Tipping Point). 9) The team who play in blue (#0000FF) have a Norwegian captain. The team with the Spanish captain have a dog for a mascot. The team on the left, wearing red, drink coffee. The team in the middle do not drink tea, or have a mammal for a mascot. Which team drinks water? 10) Any team who has violated the above provision, regardless if intentional or otherwise, whether discovered during the day of the event or some time after, will have all their team members (the Little-Endians as well as the Big-Endians) sanctioned with a 1-year ban on all KiaSA-organized events, including the darts tournament, pub quiz and pro-am karaoke. It is our hope that with this change, we’re able to realize our goal to have an event where everybody can enjoy while at same time preserving the competitive aspect of this tournament. We intend to closely monitor the impact of the changes made and will continue to have an open dialog with all parties involved as we continue to look for ways to keep improving the KiaSA five-a-side tournament while also preventing an AI network eliminating all human life. This entry was posted in you don't need a tag to tell you this is a spoof do you? on February 3, 2015 by Zoso.